Well, first things first: We specialize in custom-made wedding gowns. So if you’re looking for a wedding dress that’s designed specifically to suit your style, personality and body type, then you’re in the right place! We schedule a consultation approximately 4 – 5 months prior to the wedding date to discuss the ideas and possibilities for your dream wedding dress. Please click here to arrange a consultation. I will provide you with an estimate quotation. By definition, it may be subject to change depending on outlying factors. 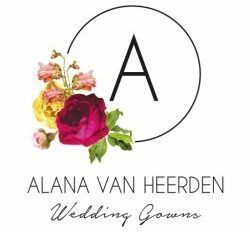 The prices of my dresses currently range between R16 000 and R28 000, depending of course on a number of variables. Your quotation is valid for 14 days. A 50% deposit will secure your spot. Dresses will be completed and can be collected 1-2 weeks prior to the wedding. If you need more info please browse through our FAQ section. If you’d like to book a consult or chat about the ideas and possibilities for your dress, please contact me.